Hello friends! I have some awesome and beautiful new releases from Altenew to share with you, along with a few projects. There are so many awesome products in the April 2019 release. Here's a quick look at all of it! 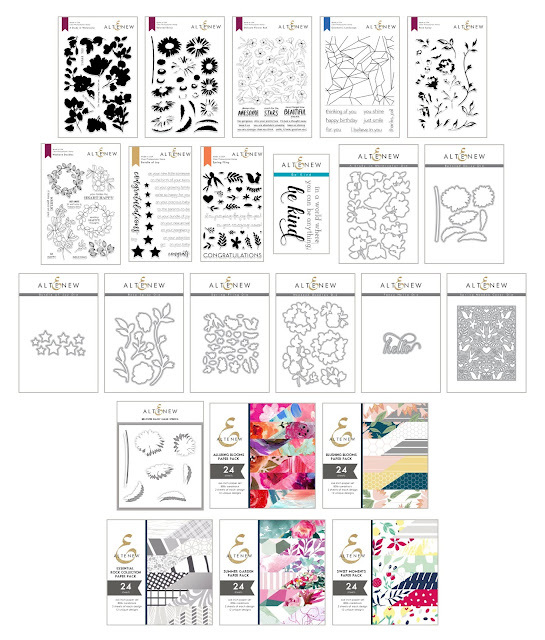 I am a huge fan of Altenew's stamp sets and there were a few of the 6x6 Paper Packs I had to have! I share my picks and some projects in the video below. 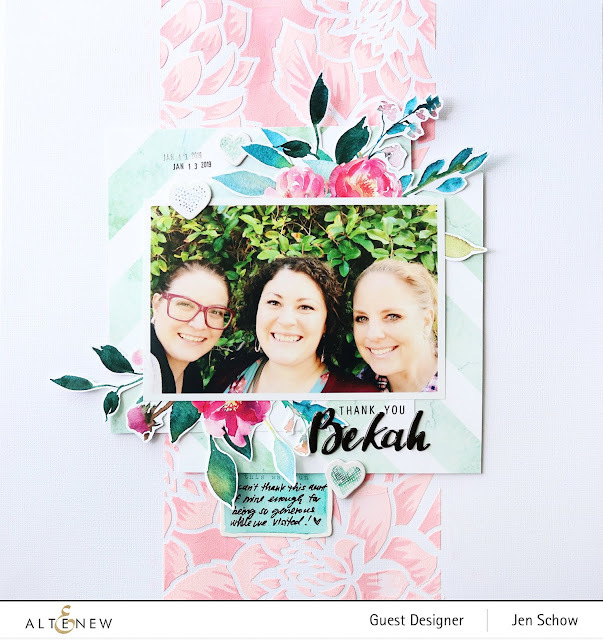 I focused on the new Summer Garden Paper Set for this layout and I am in love with the colors of those florals! For this page, I used the Delicate Flower Bed stamp set to create a base for my photo and the wonderfully artsy Alluring Blooms Paper Stack along with the dies from A Study in Watercolor. Love! Lastly, I created a couple of cards. The first uses the Weekend Doodles stamps and dies along with a sentiment from Delicate Flower Bed. The second focuses on the Rose Spray stamps and dies with another sentiment from Delicate Flower Bed! Now, for the exciting part - prizes and inspiration! To celebrate this release, Altenew is giving away a $50 gift certificate to 6 lucky winners! 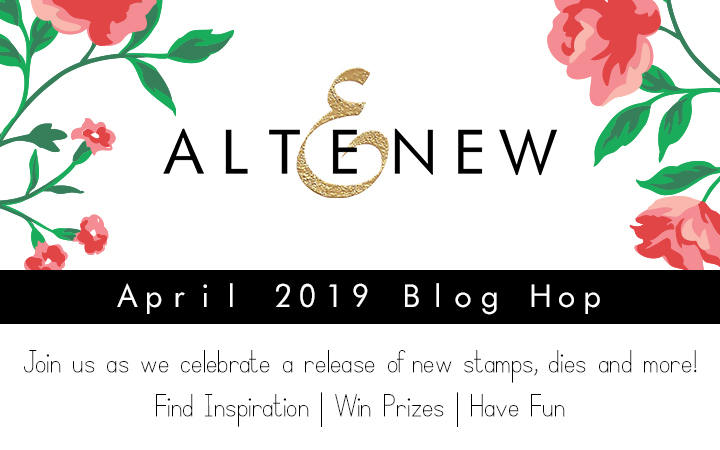 Please leave a comment on the Altenew Card Blog and/or Altenew Scrapbook Blog by 4/22/2019 for a chance to win. We’ll also draw a winner to receive a $20 gift certificate from the comments left on each designer’s blog on the blog hop list below. All winners will be announced on the Altenew Card Blog on 5/4/2019. Thanks so much for stopping by and be sure to check out all of the amazing inspiration in the hop! Beautiful cards from a fabulous release! Thanks for the amazing inspiration. Lovely designs Jen! your LOs are fantastic and your cards are very pretty, love everything in this new product release! thanks for the inspiration! What a beautiful use of the new Altenew products. Your scrapbook page is gorgeous! Thank you for sharing your lovely designs. I really love how you used the die-cut flowers with part of the negative as well. So clever. Thank you for sharing. Love the scrapbook pages the most! I have to try that myself! Your work is just gorgeous! Fun layouts and gorgeous cards. Oh wow, your projects are so vibrant and colorful. Love your layouts and cards. Great job Jen! WOW!! Gorgeous layouts and cards!! Love the colors and your creativity! Your layouts are gorgeous!! And those cards are so pretty! Fabulous projects, all of them! A wonderful job on your page design and cards. Great projects! I really like this release. Oh my goodness, I love the Layout with the pink and stencil, WOW!!!! Great job on everything... THank you so much for sharing your Amazing Talent!!! Darling layouts and cards! I love your designs! Beautiful layouts and cards. Your first layout is stunning. That paper is beautiful. I really like the card with the Weekend Doodles set. I like the design and layout of the card and the color combo. Super cute scrapbook layouts! 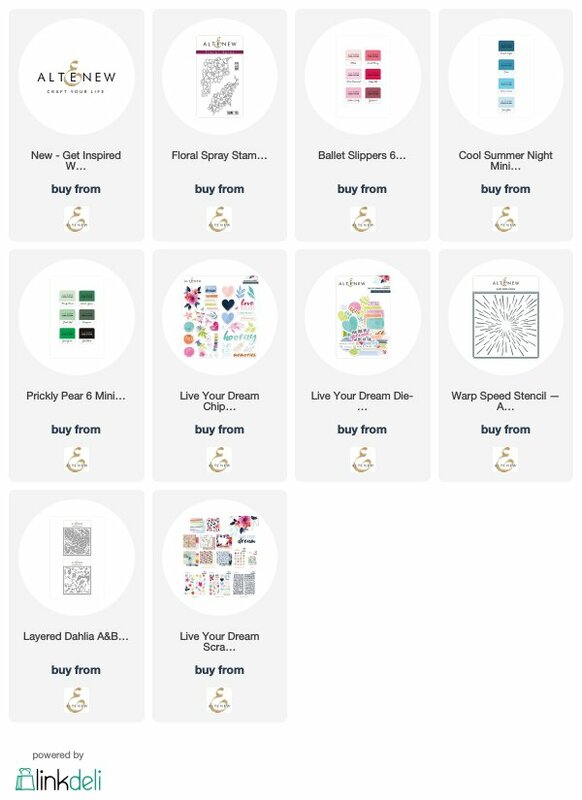 I am so scared to attempt stamps with my scrapbooking but you make it look amazing so I am going to give it a try! Thanks for sharing these gorgeous creations!!! Lovely layouts and cards, never tried scrapbooking before! Love the clean beauty of these! Beautiful flowers and layouts. Love the color choices. Beautiful work. Thanks for sharing your creative talents with us! It is inspiring. Your layouts are special because of all the details. Thank you. Beautiful pages and cards, loved your video. The technique with the embossing paste and stencils was awesome! Fun & whimsical layouts. Beautiful cards. Thank you for sharing. Jen, your layouts and cards are stunning. Love them all and how you've showcased these fabulous new products from Altenew. What a wonderful release. I'll bet you were delighted to be a guest designer and able to play with everything. Those super delicate pastels you used in the cards are so subtle and pretty - loved them. Thanks so much for sharing. You really made your scrapbook pages look amazing with the wonderful addition from Altenew. Amazing creativity. Gorgeous scrapbook layouts. Love how you used embossing paste to highlight the stencil. Thanks for sharing your time and talent with us. I too am loving Altenew releases lately. I just discovered them last summer and I'm obsessed. LOVE what you did with the new releases! Amazing cards and pages. This month’s release has produced so many beautiful cards and pages. Keep inspiring us. 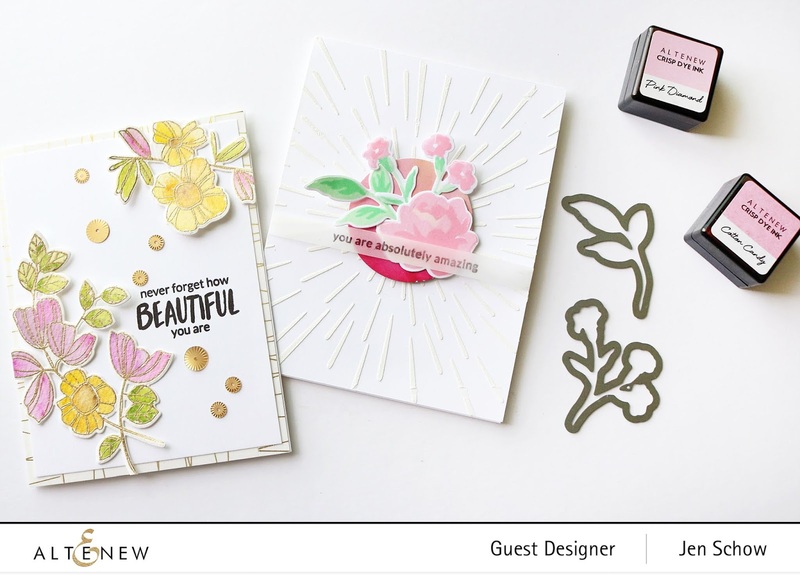 Gorgeous layout and cards, Jen! So special! Thanks so much for sharing the wonderful inspiration! Wow!! You do wonderful work!! I love your layouts and cards!! Thank you for sharing this with us!! pretty pastel colors, and style TFS! so creative. thanks fr sharing. Beautiful background with the flower bed stamp set. It looks very elegant! I love your layout. Everything is so perfect. Fabulous layouts and cards, love that stencil. Wonderful cards, colors, layouts and new release! Sooo beautiful. Awesome release. I love what you made using Delicate Flower Bed stamp set....think its my favorite. Lovely projects with these beautiful designs! Pretty layouts, and I like the cards you made too! I love the size of the Delicate Flower Bed stamp. It worked beautifully on the second layout. The stenciled embossing paste looks amazing on your first page, and I appreciate the sneak peek! totally amazing cards and LO's. Very inspiring. fabulous LO's and gorgeous cards. Oh dear, I am in LOVE with that thank you layout you made for your aunt Jen, so pretty!!! Such gorgeous layouts and cards. Love the beautiful colors. I am so impressed by your use of the dalhia stencil. It is absolutely beautiful. Your layouts and cards are all lovely. I applaud your creativity. Such pretty layouts and lovely cards. What happy spring/summer cards! I particularly like how you did your first layout with the soft, pastel background and then the bright blooms right around your photo. Plus, the dahlia stencils are a perpetual favorite, so I'm happy to see them incorporated any time. Thanks for sharing! Your layouts and cards are beautiful. I especially love the card with weekend doodles florals. Beautiful examples. I understand why you couldn’t stop creating. Love the stencils and embossing paste used on both layout and one of the cards. The large floral cut out and divided to add a pop of color behind the photo was a great design element. Thanks for the inspiration! Gorgeous projects! Fabulous compositions and layers of elements.